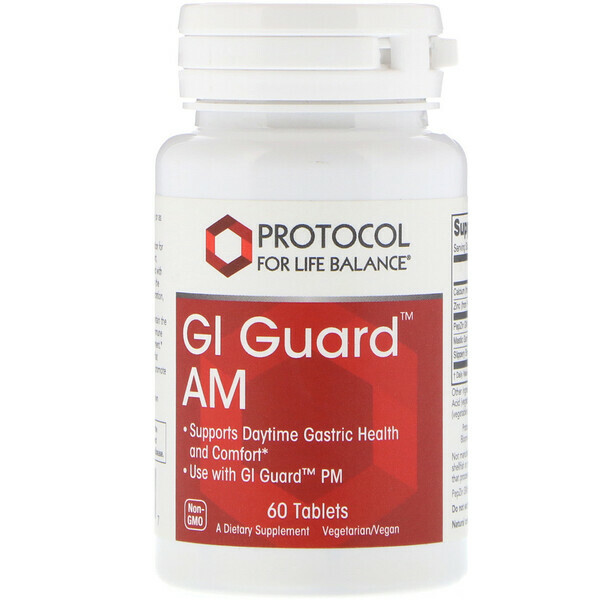 How It Works: GI Guard AM is a formulation for GI healthy using the clinically validated ingredients, PepZin GI, a patented form of Zinc complex with L-Carnosine. 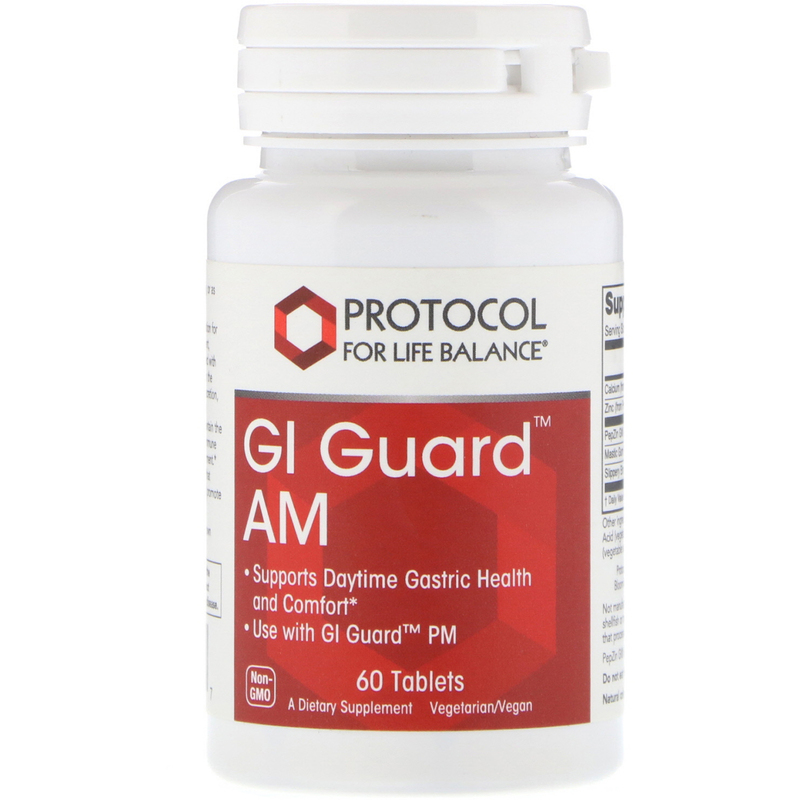 PepZin GI is slowly absorbed in the stomach, where it promotes normal mucous secretion, combats free radicals and supports table cell integrity of the stomach lining and its proper immune responses to the typically harsh gastric environment. 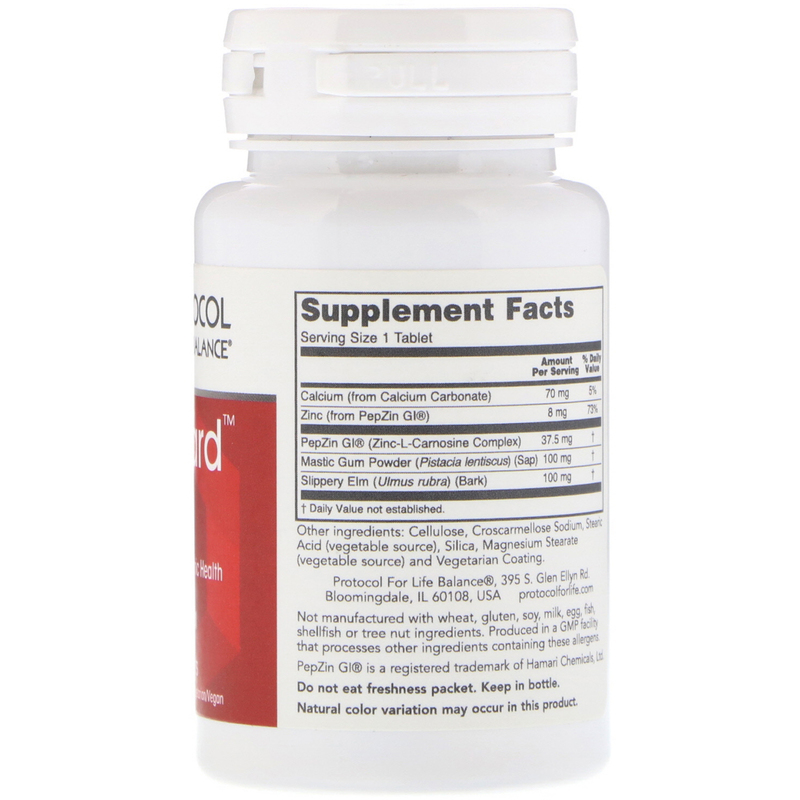 Numerous clinical studies have demonstrated that PepZin GI can help to support GI health and promote gastric comfort. Take 1 tablet twice daily, or as directed by your healthcare practitioner. Cautions/Interactions: These are no known drug interactions.